MUSCA D’ITALIA Is a seasonal variety, from a cross (bicane x Muscat Hamburg). 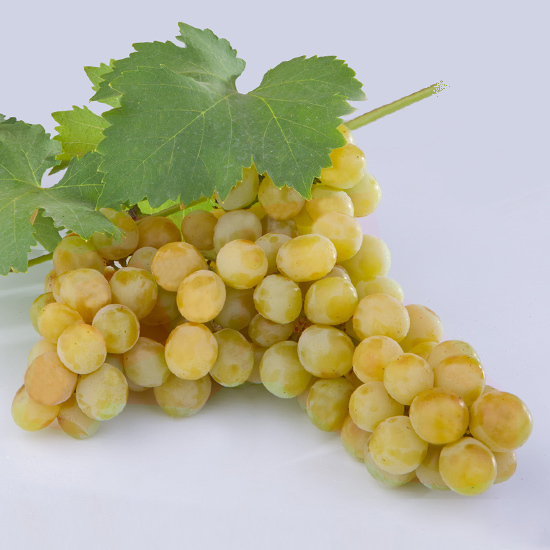 Variety characterized by bunches rather large, not very compact, color yellow buttered, golden in the sun and crisp with good ability to transport. Harvesting is abundant in the months of August to September. 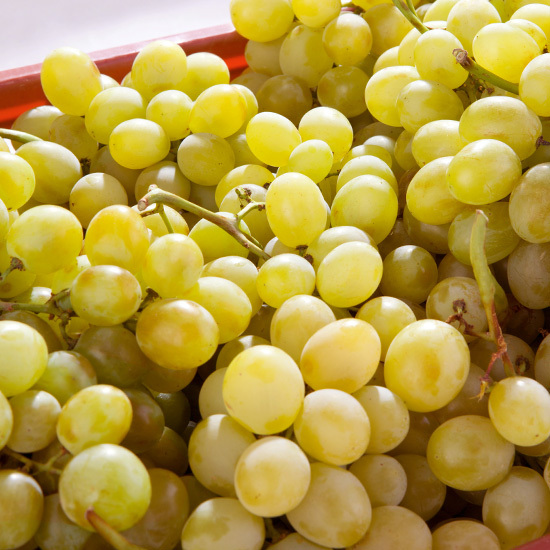 The characteristic aroma known as “muscate” comes from natural substances called terpenes, which are found in Muscat grapes. Origin : Italy – Crossing between Bicane and Muscat of Hamburg. Synonyms :Ideal, 65 Pirovano, Italian Muscat, Dona Sofia. Description : Late white variety. Grappe : Large, conical, semi-compact. Ellipsoid, very large, amber yellow, thick skin. Pulp juicy and firm, slightly muscate taste. Maturity: Late – 3rd epoch, 10th August. High fertility, high productivity, good vigor. Good resistance to transport and storage.